People invented plenty of techniques to keep a secret. Ancient Rome patrician would shave his slave’s head, write the content on his skin, wait until the hair grows back, and finally dispatch the message to the addressee. Fast-paced life of XXI century does not allow for so much time and efforts to be spent on content protection. Computers designed to break the military encryption, may also function as secure vaults enabling you to keep secrets with the help of top-notch encryption algorithms. Do you have enough courage to disclose to your teenager son your credit card number and PIN? What about providing password to your Gmail or Facebook to your sister or brother? And what is your opinion about viewing of your family photos by your house guests? Are you sure you are going to tell your wife that Emma is just your friend from another department at the office, and that meeting tomorrow that you have received a reminder about is actually a business session hosting dozens of persons? Beyond any doubts, once a malicious application has corrupted your device, the story goes even weirder. 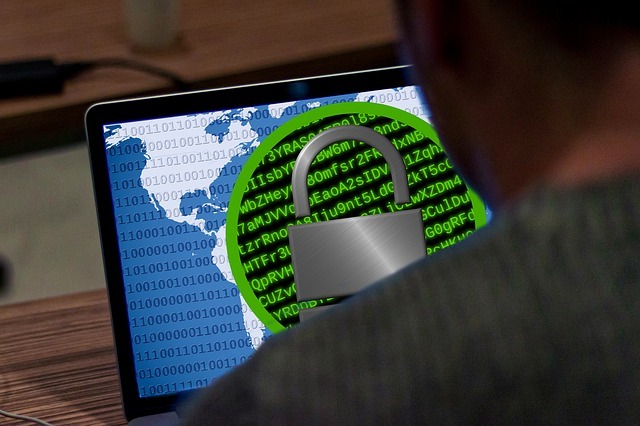 The recent trend in cybercrime is the malicious software stealing away or also encrypting any potentially valuable data from your PC, including documents, images, passwords stored by your web-browsers, hardly omitting a single item. Stolen images often contain scanned documents (for example, you scanned driver’s license or ID card) which the thieves might make use of in their scams and identity thefts. There are a lot of cases when stolen private photographs were used for blackmailing. Losing a phone marks another creepy story for its holder considering that a modern smartphone usually contains bulks of personal data. Some more technically advanced thieves may go beyond a mere sale of the stolen devices. They may scan the contents for passwords and security codes for mobile banking and other private data. Encryption is a single solution for a range of issues. So, lots of risks may struck your data. Fortunately, comprehensive security solutions are readily available restricting access to your PC data for third parties who are keen to explore its contents. You can avoid awkward situations beforehand by keeping your data encrypted. Another high-performance method allows composing your message in such a way that only one person could read it, namely the one meant to receive your message. You may deal with the encryption even when you have no idea of that. For instance, you may be viewing Gmail letters or banking websites with HTTPS or communicate with your friends using popular GSM networks. In addition, more and more people start using VPN solutions that encrypt all traffic between your computer and the Internet. Meanwhile, let’s consider another essential issue, encrypting the data that you store on your PC or phone. What does data encryption stand for? Data encryption refers to the workflow that transforms your data so that a malefactor is unable to read it. While there are lots of popular encryption mechanisms around, it is the secret key that makes it all work (sometimes in pair with the public key). Keeping your secret key (the password) secret is the main point to observe. Distinguishing between encoding and encryption is essential. Encoding also transforms your information. Meanwhile, it usually aims at convenient storage and transfer of data and is not necessarily about keeping secrets. Numerous video codecs stand for the famous coding methods. The most convenient solution for storing encrypted files is creating an encrypted storage, also called a container. Once such a container is connected to your PC, the system identifies it as a separate drive. It should be used just like a flash drive for saving and copying any data. And such drives often look like flash sticks. The main difference is that the encrypted container is but a dedicated folder physically located at the hard drive. To get into that folder, one of the custom applications is usually used. Each file to store at that folder undergoes automatic encryption and is saved at a safe location. Anyone who would manage to access your PC and dare trying to steal (copy) the folder just cannot read the data. The files obtained contain but random symbols. Deriving a key for their transformation into anything meaningful takes years, hence meaningless. Your password for the encrypted vault is the only means of security. It must be long, complex and hard to guess. Try not to write it down. It is better to remember it. You shall store all your personal data at the encrypted drive. Anyone who knows the password can read all the stored files. If you have certain types of information that you would share only partially, it is good to create several folders with individual passwords. Connect your encrypted disk for processing important files only. Once the job is done, disconnect it from the Internet and computer at once. Should your folder be in any way corrupted, the files it contains are lost. That’s why frequent backups are critical.